Cooking for kiddos or family members with food allergies can be a bit daunting at times, especially during the holidays. Some of our family favorites like Pumpkin Pie and Cornbread dressing have to be altered or even eliminated due to food allergies. One of my goals each year is to make sure my food allergy kiddos have a wonderfully delicious holiday meal full of traditional favorites but free from their allergens. This means lots of experimentation and trial & error before getting those recipes right, but it is SO worth it to have my boys asking each year for these same dishes such as Dairy Free Egg Free Cornbread Dressing. It tastes just like my Grandmother’s, but is free of all the top 8 allergens – SCORE! One thing that really helps is using recipes that others have tried and have been sucessful. 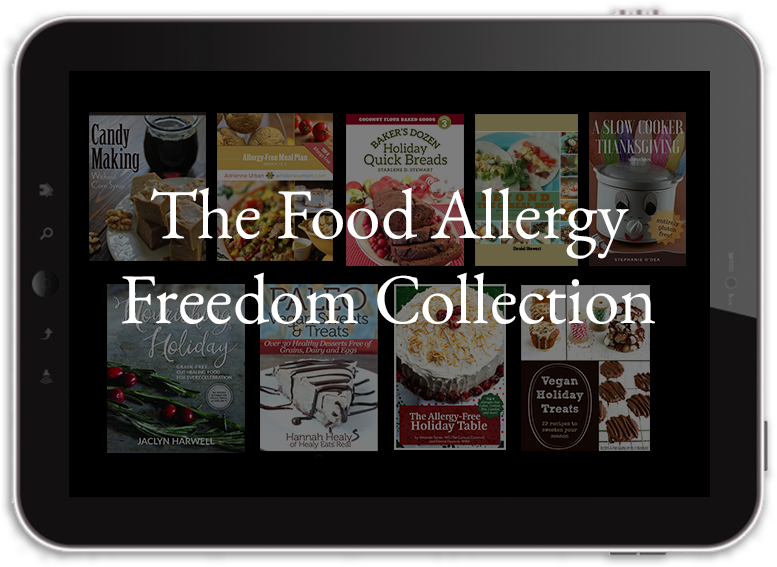 That’s why I was really excited to see this Food Allergy Freedom Collection of 280 recipes that are free of Dairy, Egg, Nuts, and More!! Sweet! The cool thing about this is that you can pick your price. You will be able to get all the recipes for as low as $3! If you spend at least $20 you can also snag the Allergy Free Cooking Masterclass by Traditional Cooking School! Head over HERE to get your Food Allergy Freedom Collection – 48 Hours Only!